RD-II rotary detector (commonly known as low speed switch, speed switch, also known as rotation sensor, slip protection device) patent number: ZL97207248.9. 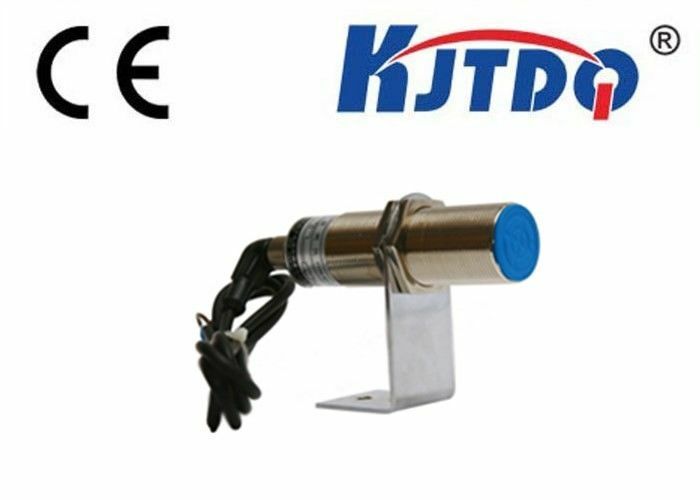 This product can effectively and timely handle the electrical and mechanical faults such as stall, spin, overload, slow turn, belt slippage, drive chain (band) fall off, drive shaft breakage, etc. that often appear in motors and mechanical transmission devices. Can play a role in ensuring production and maintenance of equipment. Widely used in steel, electricity, chemical, cement, coal, metallurgy, building materials, mining, port terminals, grain warehouses and other industries using conveyor equipment. The RD-II rotation detector is installed next to the driven shaft and is equipped with a detection plate (see Figure 1). When the motor is running, the driven shaft is driven to rotate by the transmission device, and the detection piece on the driven shaft is also rotated. The rotation detector receives the even interval pulse signal of the detection piece. At this moment, the rotation detector is in the closed state, and the AC contactor is sucked by connecting the self-protection contact of the intermediate relay (see FIG. 3). The main contact of the AC contactor is closed. Turn the motor. When the equipment is stuck, locked rotor, belt slipping, transmission belt off failure, the drive shaft will be slow or stop, at this time the test piece will also slowly turn or stop, RD-II type rotation detector will not receive Evenly spaced pulse signals to the detection plate. In the specified period of time (5 seconds), no rotation signal is received. The rotation detector will be turned from closed to open, the intermediate relay will be disconnected, the AC contactor will be disconnected and shut down in time, and reliable protection equipment (this product will receive the test piece) The rotation signal has nothing to do with the size of the motor.